When would we encounter such a situation? expressions should remain within the main fraction. 1. Add or subtract to get a single expression in the numerator. 2. Add or subtract to get a single expression in the denominator. 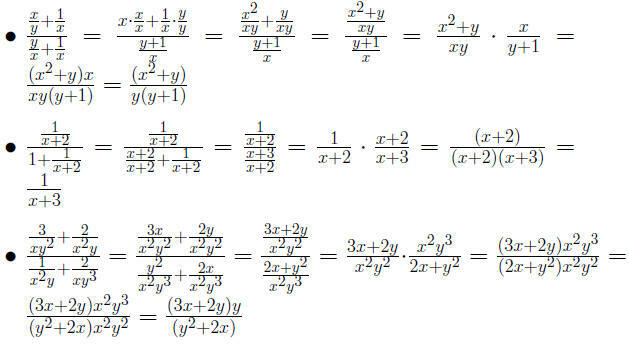 the denominator of the complex rational expression and multiply. Simplify the complex rational expression on the right side of the formula. 8 ohms, and R3 is 12 ohms.